We’ll be starting a series on what we’ve found to be the best products for before, during, and after your gym workout. Since you likely don’t have your typical at-home beauty stash with you in your gym bag, we’ve tried to narrow down the products and treatments that work best for the situation…and don’t add more weight to your gym bag than you can lift when you actually workout! Today we’ll be considering your pre-workout cleansing. Whether you wear makeup while you work out is a subject of debate, I think it comes down to personal preference, comfort, and the intensity of your workout. Personally, if my mascara comes perfect on a day that I am intending to go to the gym after work, I tend to leave it be while I work out, since my brand (Fiberwig!) stays put no matter what (side note: their new formula, d.j.v. beautenizer Fiberwig LX, would stay put in a hurricane, so it’s definitely workout friendly). But ultimately, your level of makeup at the gym depends on several factors, including whether you are there for social reasons or just to get a good workout (more on natural looking and makeup that doubles as skin treatments in future installments of the series). After trying several options, both Lyn and I really like using a makeup removing cleansing cloth for both pre and post workout cleansing. Before your workout, a good pre-moistened cleansing cloth completely takes off your makeup and leaves your face feeling refreshed while your work out. Used after a workout, it elimates sweat and leaves your skin ready for makeup or sunscreen reapplication. We tried a few, but our favorite is e.l.f. Studio Makeup Remover Cleansing Cloths. 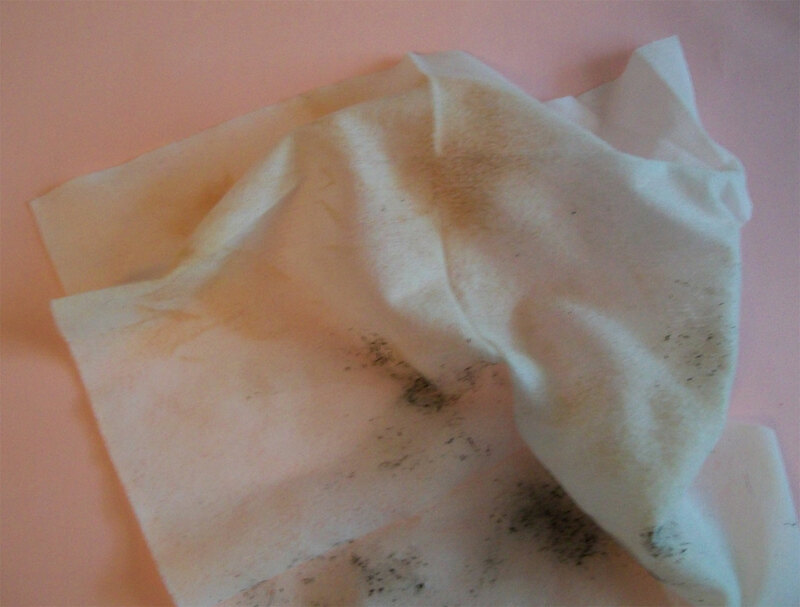 A gentle wipe over your skin and it takes off makeup clean, including eye makeup. And since it Aloe Vera in the cleansing formula, it doesn’t irritate or dry out your skin like some of the other wipes we tried. The package reseals and has a snap closure, so the cloths stay moist (though I keep it in a sealed zip lock bag in my gym bag just in case). e.l.f. Studio Makeup Remover Cleansing Cloths cost $3 for 20 cloths and you can get them here. e.l.f. Studio Makeup Remover Cleansing Cloth - Great for your Gym Bag! Used e.l.f. Studio Makeup Remover Cleansing Cloth - Takes off even waterproof mascara!